BMW’s 3 Series Coupe is one sleek and stylish ride. It is tough to improve upon the sporty sophisticated look of this coupe, but here at E&G, we have! Take a look at the before and after shots of the BMW 3 Series above. 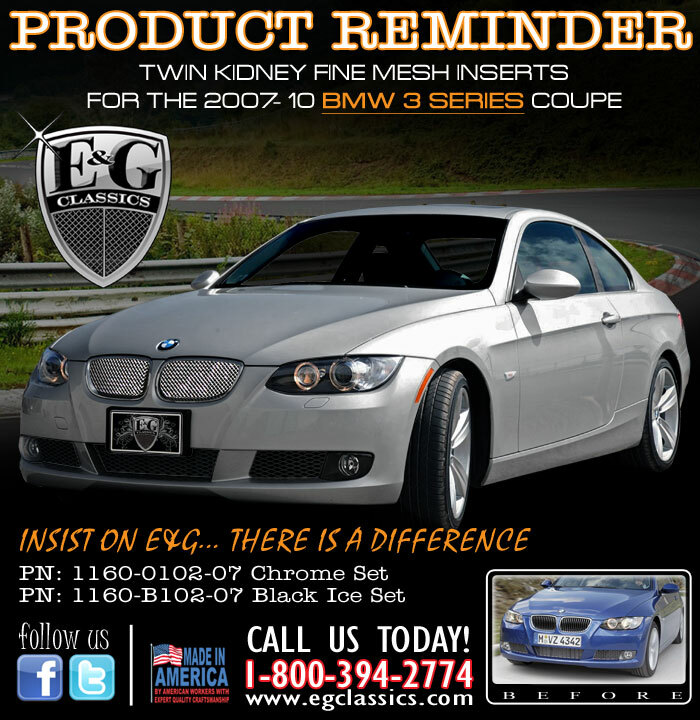 The simple additions of our Twin Kidney Fine Mesh Inserts really take this car to a new level.